Replace the black plastic frame plugs on the telelever pivots and left/right rear frame junctions with these beautifully machined aluminum replacement plugs. 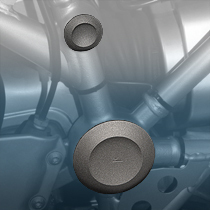 They have a beadblasted, durable hard-anodized grey finish to match the Boxer's valve covers. Replace the black plastic frame plugs on the telelever pivots, right rear frame junction, and left rear frame junction with these beautiful Machined Aluminum ZPlugs™. 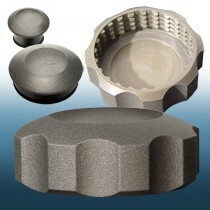 They have a beadblasted, durable hard-anodized grey finish to match the Boxer's valve covers. 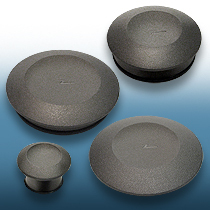 Complete the look with ZTechnik Machined Aluminum ZCaps! Precise tolerances and channeled rubber o-rings ensure a perfect and exact fit. Kit includes a tool for removing the OEM plastic plugs. Available for most late-model R-Series bikes. Direct Replacement. Includes Plug Removal Tool.